The great thing about natural family photography, is that it can done at anytime of the year - it shouldn’t just be reserved for summer months when the sun is high in the sky, casting nasty shadows across faces. Heidi and Brian and their kids are originally from Seattle, USA and wanted some photos to remember their two years in Marlow. It was a cold January day and started to snow, but in half an hour, we were able to capture some beautiful memories for them. New for 2017, I am offering half hour photo shoots at £75 for people who have small children - as after this time, attention starts to wander! I’ll also be offering spring and summer mini shoots, so look out for details. I was so excited to photograph this wedding of Claire and Andy. Not only because Claire is a good school friend of my fellow photographer buddy, Sara Dalrymple, but because I was photographing a wedding by the sea! It was the first time I had been to the Suffolk Coast, and it didn’t disappoint. It was full of the old English seaside charm, and with a practically empty beach, I along with my trusty sidekick, Michael O’Sullivan, were able to really use this impressive backdrop to its full potential. Claire and the girls, and Andy and the boys hired a couple of lovely period properties to get ready in. As it was May, the Wysteria was in full bloom. It was then down the road to the lovely Thorpeness Country Club for the ceremony, reception and party. Claire and Andy opted for a first look, which was really inmate and special. They then walked each other down the aisle. After the ceremony, Pimms was served on the lawn, overlooking the beach and then it was onto the reception in a beautiful light and airy room in the Country Club. Claire and Andy had chosen a nautical theme, so the tables were named after things from the ocean. All in all, it was a beautiful day, and to top it all I took my husband and kids with me so we enjoyed the rest of the weekend at the beach! Huge thanks as always to my second photographer, Michael O’Sullivan, who took some really wonderful photos (some of which are included). 2015, you were fabulous! my wedding round-up. Marlow wedding photography round-up 2015. 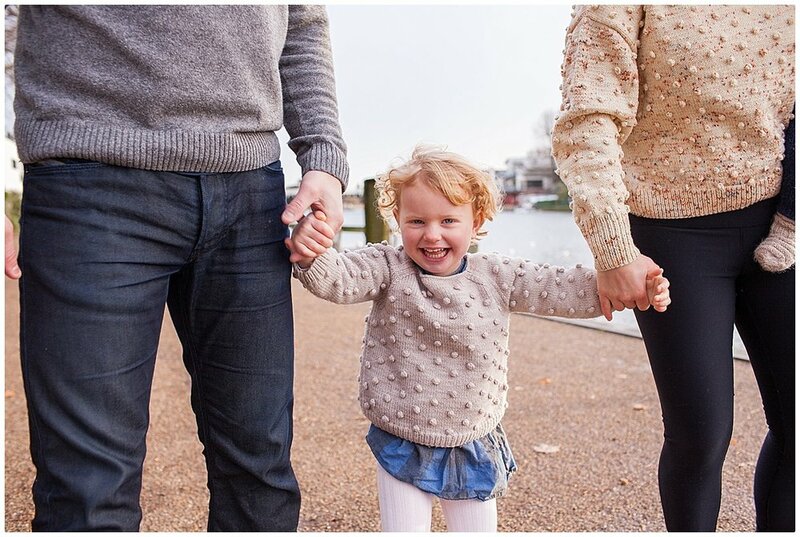 Beautiful Autumn days are the perfect backdrop for family photography sessions. This shoot with Sham, Matt and their three beautiful girls took place last weekend in Hampshire and it was great fun playing in the leaves! It's been a really busy summer and I just wanted to say huge congratulations to all the brides and grooms I have had the pleasure of working with this year so far. Emma and Graham's wedding was a perfect May wedding. I think May has to be my favourite time of the year. Perhaps because my birthday is in May, but more so because it is the end of Spring, the weather is getting warmer, the lanscapes are lush and the light on a sunny day is soft and golden - perfect for wedding photography. Emma got ready at her home just outside Reading, with her bridesmaids in navy blue to match the family's pride and joy- their Mini. It had been lovingly restored by Emma's dad and brother and was the car she learnt to drive in, so it was fitting that it would take her to the church and her wedding venue - Barkham Manor Barn. Barkham Manor Barn is a lovely venue near Wokingham and is set in beautiful countryside. On the way there we stopped at Rooks Nest a popular dog walking spot, but a place with great open areas and woods. Later in the day we were then able to catch some of the beautiful golden light by whisking the happy couple off into the countryside behind the barns, making use of an old chicken house as a backdrop. All in all, a beautiful day - best wishes for your future together Emma and Graham! What an amazing start to the wedding season - getting to photograph a wedding in one of the most famous institutions in the world - Oxford University! Libby and Adam met at Wadham college Oxford, and were given special permission by the Archbishop of Canterbury to marry in the chapel there. It was a real privilege to take photos there and out and about in some of the historical streets of Oxford. A real memorable wedding - with special thanks to my lovely friend and amazing photographer, Sara Dalrymple who helped me on the day. Wow, Spring has certainly sprung! How lucky was I to have my first engagement shoot of 2015 in the glorious Spring sunshine we had last weekend? Even luckier that I had a beautiful couple to photograph. The engagement shoot took place in my home town of Marlow in the lovely Higginson Park. Being by the river, the park gets really busy on sunny Saturdays, but we were able to find some nice secluded locations to do some intimate and natural engagement photography. Emma and Graham are getting married in May, with their reception on a farm in Berkshire. Needless to say I'm really looking forward to photographing their big day! South Farm wedding photography - A lovely Autumnal outdoors affair! This wedding set in the grounds of the quirky and beautiful South Farm in Hertfordshire last November, just proves you don't have to get married in the summer months to have it outdoors. South Farm is a lovely intimate venue with animals in the courtyard and vintage gypsy caravans, which double up as guest bedrooms. The beautiful pergola on the pond in the grounds is a beautiful spot to say your vows, and there are lovely grounds for photographs afterwards. It's then into the barn for dinner and dancing. A lovely day with perfectly beautiful soft Autumnal light for relaxed and natural wedding photography. January has been a busy month, with Dry January (not drinking wine has been hard work!) and the start of the Spring wedding fairs, where I have met some really lovely couples. So I am now just getting around to previewing a round-up of some of my favourite photos from 2014. From the beautiful Coworth Park in Ascot, to the Asylum in Peckham; the traditional gypsy caravans at South Farm in Hertfordshire to a bijou wedding in Islington with 5 guests, I have throughly enjoyed each and every wedding I have had the pleasure of photographing and the lovely happy couples I have worked with. I simply have the best job - ever! I'm so looking forward to the 2015 wedding season - from a grand chapel at Oxford University to a beach wedding in Suffolk I can't wait! I'm even crossing the border to Wales twice, one of which is for my gorgeous cousin Emily! To all my 2015 brides and grooms - it's not long now! If the wind and the rain are getting you down, then I thought I would warm you up with this summer shoot of three gorgeous children - Camilla, Romily and Digby. One of my favourite places to photograph children and families is at Cliveden, which is just up the road from Marlow. There is so much variety there, and lots of nooks and crannies to explore. It allows children to be as natural as possible, while I follow behind and photograph what they get up to! I was so excited this morning to open my brand spanking new sample albums which have been shipped all the way from New Zealand. Queensberry as far as I am concerned are the best. The quality, the craftmanship and the modern details on a classic wedding album to me show that they will last the test of time. When you look back at your photos on your 25th wedding anniverary they will still look as beautiful as the day you received them - a timeless piece to treasure forever. 1. A do-it-yourself album is always going look like you did it yourself. Most professional wedding album companies, including Queensberry only work with professional photographers for the design and fulfilment of wedding albums. 2. If you are going to keep the digital files on the computer - how many times will you look at them? What happens if your computer dies taking all your wedding photos with it? 3. Once the memories have faded, the only things you have 20 years down the line are your photographs. 4. I consider myself a storyteller, I shoot key moments in a wedding to ensure the story flows and initmate and natural moments between the couple are captured. Many photographers therefore shoot weddings with album design in mind, so that through the way they put the images together in the album tells the story of your day. 5. A wedding album is a family heirloom - it is for you, your children and your grandchildren and beyond. I was watching Who Do You Think You Are? the other day (a programme where celebrities trace their ancestors) and it got me thinking. Some of those old, old photos of familes in the 1800s have lasted the test of time. However the equipment used to develop them and the cameras from this time are probably long gone. The same applies with modern technology - your wedding album will last way beyond the USB stick with your digital files or the hard drive on your computer. 6. I have had quite a few couples who opted for a digital package for their wedding and now regret it - they're asking me to produce a professional album for them two, three and sometimes four years on. What a gorgeous little baby Dylan is! It was very hard to not get broody on this natural light shoot in Cookham, Berkshire. To top the beautiful sunny day, Jess and Neil's house was a photographer's dream with bright, light and airy rooms and no clutter! A really lovely family to work with, congratulations Jess and Neil! 2. Complete excitement - I would be by my best friend's side for her whole wedding sharing in her and new hubby Jack's happiness and telling their wedding story through my photographs. Emma and I met in the early 1980s perfecting our dance moves at a Saturday morning dance class called Margaret Morris Movement. We were heading for a life on the stage . . .No, really I was the chubby one in costumes made by my Nana and Em was the graceful one flaunting her array of beautiful leotards from places like Disney World (which I was secretly a bit jealous of). We became firm friends when we started secondary school together, and even though for most of the time now she lives on the other side of the world, when we see each other, it is like time has stood still - we pick up where we left off. For as long as I can remember, Em has always had the travelling bug - and she's passed this onto Jack. So, after a year in South America and two years teaching in Beijing, Em, Jack and now, baby Daisy are moving to Singapore to start the next chapter of their lives. As a result, the theme for their wedding was travel. From the luggage label place names to the massive airmail envelope welcoming the guests to their wedding venue - the Royal Plymouth Corinthian Yacht Club. The tables were named after all the counties they had been to with a traditional alchholic drink or cocktail originating from that country. Even the table plan was crafted out of a vintage suitcase and airmail envelopes. The red, white and blue colour theme brought everything together reflecting a sense of Britishness with the village fete style wedding cake and bunting all over the venue. An amazing wedding, and one that was so special to me as it was one of my oldest friends' wedding and I was a guest too!! Happy anniversary Em and Jack - I bet it was all the more special now you have baby Daisy to share it with you! Hayley has been my sister's best friend forever, so I was delighted when she asked me to take some pictures of her new baby girl, Phoebe, at 4 weeks old in my home town of Plymouth. If light allows, my favourite place to take family photos is in the family's own home and garden. It allows them to be as relaxed as possible, and you can capture the natural moments that take place between them, as well as little details around the home. Even big brother Cameron got the photography bug and went off to get Dad's camera! Phoebe is simply scrumptious - congratulations Hayley and Martin! What a super chilled wedding this was last month! The bride and groom got ready together, had their couples photos before the ceremony and even walked down the aisle together. After a beautiful ceremony with very close family and friends at the Asylum, Peckham the guests were then treated to pizza courtesy of an old fashioned pizza van outside! With no speeches, the bride and groom had written poems for each other and invited other guests to do the same. 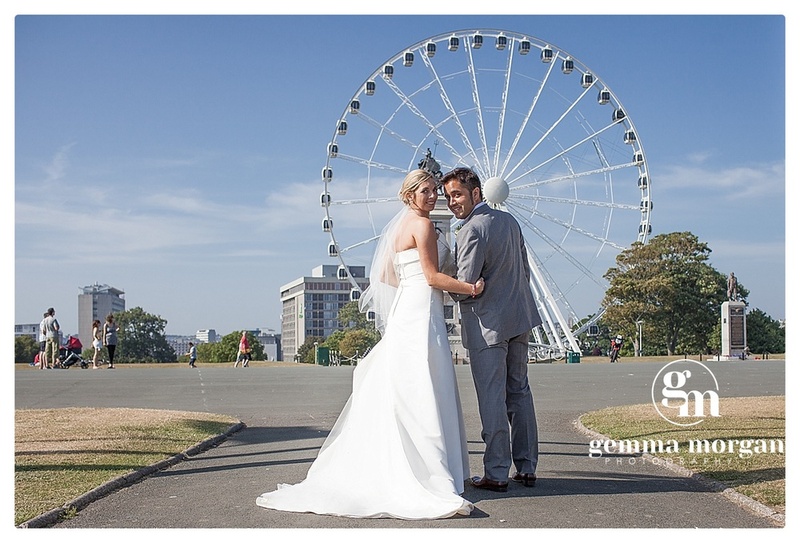 A truely relaxed wedding at a very cool venue! With just 12 guests, this was the smallest wedding I have photographed so far, but one of the most romantic, intimate and laid-back. To top it all it was an amazing Spring day, making it brilliant for photography, inside and out! The day started with getting ready in a suite at the exclusive Coworth Park (some X-factor fans may remember it's the place where Cheryl Cole did judges houses a few years back). Then photos on the amazing wooden spiral stairs, and off to the beautiful St Giles Church in Stoke Poges. After the ceremony, it was then back to Corworth Park and travelling around the grounds on a golf buggy to get the couples shots. Coworth Park is really good for wedding photography, with a variety of settings including a duck lake, little bridges, intimate gazebos and tree lined footpaths. There are some unique architectural elements inside, including the wooden stairs and the rooms are light and airy and tastefully decorated with a sense of opulence. After a Champagne reception outside The Barn, it was then off to the Tower House for an intimate dinner for the bride and groom and their guests. This lovely wedding took place in a beautiful village church near Woburn in Bedfordshire followed by a relaxed and laid back reception at the the very stately Wrest Park. As the couple were both Chinese, the highlight of the day for me was taking pictures of the traditional Chinese tea ceremony. Steeped in tradition, the tea ceremony is the most sacred ritual of Chinese nuptials. It serves as the bride’s symbolic introduction to the groom’s family. The ceremony started with the groom’s family members sitting in chairs, while the bride and groom knelt before them and served the tea. It is served in a special order, starting with the groom’s parents, then proceeding from the oldest family members to the youngest, including the paternal grandparents, maternal grandparents, aunts and uncles, siblings, and so on. In return, the newlyweds received lucky red envelopes stuffed with money. At this wedding, tea was also served to the bride's family, in a tea service which had belonged to the bride's great grandmother! I met Louise and Jason of Lulu C jewellery last October following a recommendation from a friend of theirs. They wanted me to help them with some lifestyle photography which involved a model wearing their jewellery in some nice locations in and around Marlow. The images were for their new website and marketing material. We kept in touch following the shoot and the 'go live' of their new website, and shortly after the New year, Lou and Jason approached me with my next task - to take detailed shots of their jewellery on some nice and interesting backgrounds. I was really pleased that they had come back to me for a second time and excited to do an entire shoot with a macro lens. The brief really allowed me to get my creative juices flowing as Lou and Jason gave me some ideas, but said I could do whatever I thought would work. I used the Canon 100mm macro and was really pleased with the results. Beautiful Hedsor House wedding. 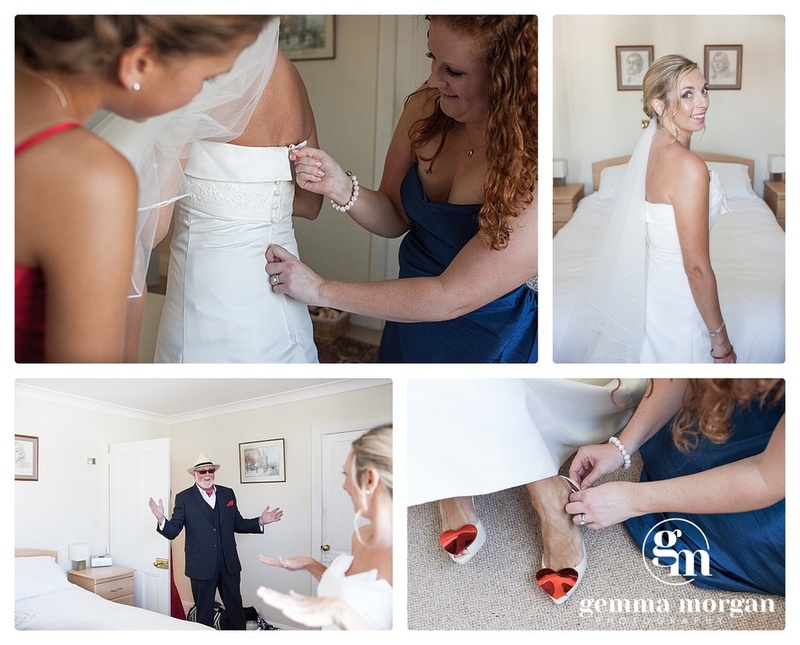 Buckinghamshire wedding photography by Gemma Morgan. 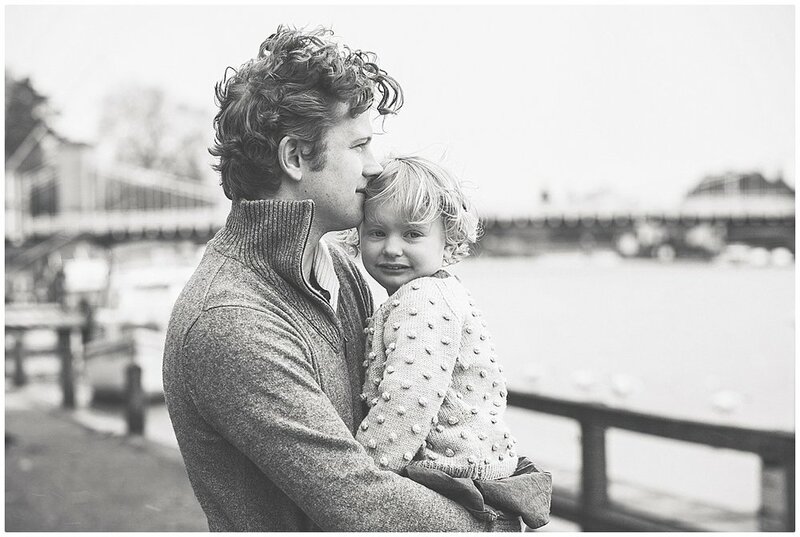 Marlow family photographer - studio and outdoor mash-up! Marlow family photography, studio versus natural light photography.